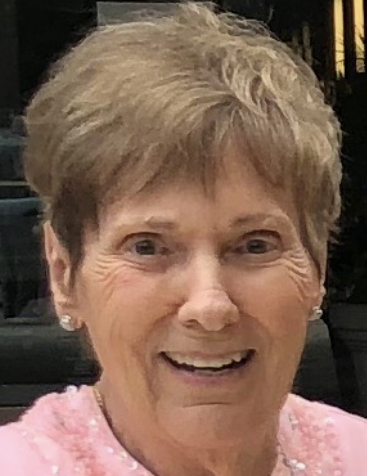 Garnet Ann Roebuck, age 76, of Belle Center, Ohio passed away at 4:04 P.M. Friday February 1, 2019, at The Ohio State University Wexner Medical Center in Columbus, Ohio. She was born in Belle Center April 30, 1942, a daughter of the late Charles E. Sr. and Eva Lou (Engle) Newman. She was also preceded in death by her siblings, Charles Newman Jr., Robert Newman, Ruth Plikerd, Thomas Newman, and John Newman. On September 23, 1961, she married Ronald B. Roebuck and he survives. She is also survived by three children, Cathy (Brooks) Pool, Johnny Roebuck, and Ronald C. (Caroline) Roebuck, all of Belle Center; five grandchildren, Jenna (J.R.) Miller, Hunter Pool, Mackenzie (Blake) Lantz, Drake Roebuck, and Hayes Roebuck; one great grandchild, Cannen Miller; two step great grandchildren, Kendal and Corben Miller; one sister, Vivian Millisor of Indian Lake, Ohio; two sister-in-laws, Barbara Newman and Sherril Newman, both of Belle Center; a brother-in-law, Hank Kies of Bellefontaine, Ohio and numerous nieces and nephews. Garnet worked for a number of years in the meat department for Kroger in Bellefontaine. She was a member of the Belle Center United Methodist Church and the American Legion Post #266 in Belle Center. She served on the Belle Center Council for many years and enjoyed working in her yard and spoiling her dog, Ollie. Pastors Kevin Smith and Shelley Stephenson will officiate the funeral service at 11:00 A.M. Wednesday, February 6, 2019 at the Eichholtz Daring & Sanford Funeral Home in Belle Center. Visitation will be held Tuesday February 5, 2019 from 4 to 7 P.M. at the funeral home. Burial will be at the Fairview Cemetery in Belle Center.